These playful mammals are covered with a waterproof coat. Since most of their diet can be found in the water, their webbed feet and slick fur make it easy for them to dive 60 feet down. Otters can be found all over the United States, except Hawaii, and on every contintent except Australia. 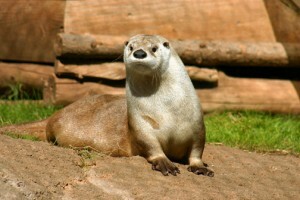 A group of otters is sometimes called a romp.